2) "Khaki" is incorrectly used to describe many different colours. Some items are actually the expected colour, but many are shades of brown or green. 3) Equipment/Item names and models can be easily viewed in the Arsenal. 4) In many cases, the work "Khaki" should be replaced by a word more closely matching the actual colour of the item. The face balaclava, harness and backpack shown above can be fairly described as "Khaki". The hat could be "Brown". 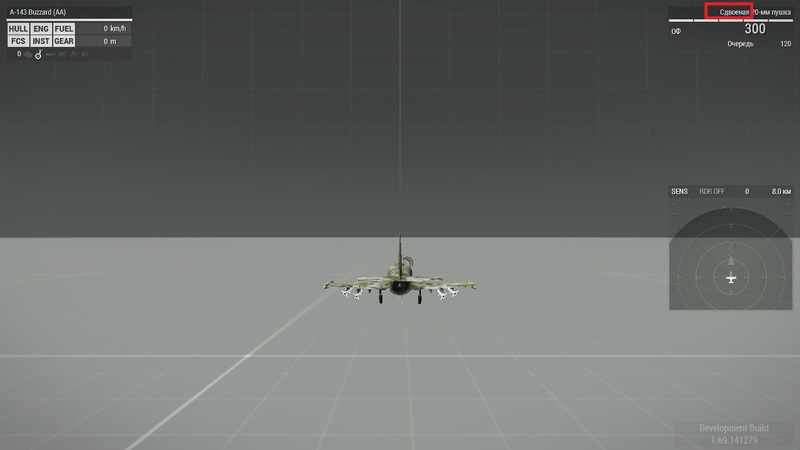 The rifle and attachments could be "Tropic". The designator could be "Green". Hi, this is not a localization issue per se, we might might change the original English terms later on. Most of what he wrote is incorrect. The guy not even checked <Original> strings. We had no capacity to verify and correct this right away, and in the meantime we made some changes. Please, if you are still willing, report the errors on the current version (if they are still present) and create a new Feedback Tracker issue and let me know here in this forum thread, please. Thank you and sorry for the annoyance! Ok, the previous issues have been corrected, but not all of them due to some secondary changes om the go in the meantime. If you find some more, or even old errors, please report them and we will try to process them more swiftly. Thank you so much! The Japanese localization is definity bad. because The words not a uniform, lot of Mistranslation, Unnatural Context and Do not understand the military words. Why 150Rnd is translate to 150ランド? The "ランド" Ment The South African rand. seriously? Anyway, I think japanese localization is should be more re-examination. Hello classic. Thank you for the feedback. We are aware of the fact that unfortunately the localization of the basic Arma 3 might have some issues, and we have taken certain steps to increase quality in the Apex expansion. If you wish to let us know some things to correct, feel free to report it here or in Feedback Tracker. Thank you! Please, if you are still willing, report the errors on the current version (if they are still present) and create a new Feedback Tracker issue and let me know here in this forum thread, please. Thank you and sorry for the annoyance! Thanks for that. We will do our best to process this before the 1.68 update. 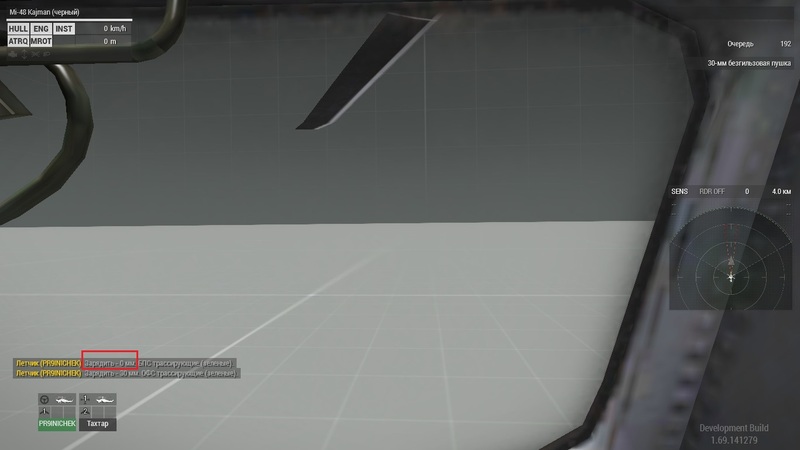 3) Open Virtual Arsenal -> Select Heli Helmets. In Russian Version of ArmA 3 Of course. 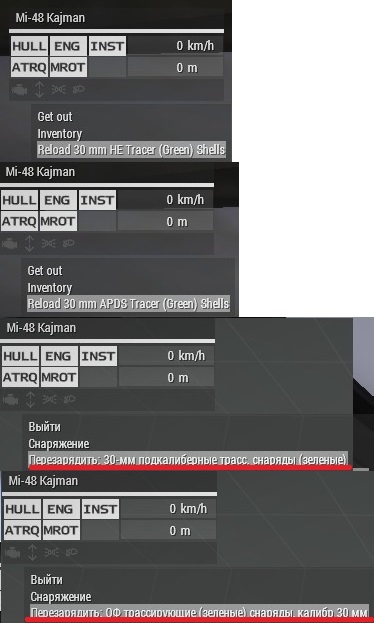 "Heli Pilot Helmet [CSAT]" - "Шлем пилота вертолёта [CSAT]"
3) Open Virtual Arsenal > Select BackPack Section -> Select Static Titan Launchers. In Russian ArmA 3 Of Course! "Static Titan Launcher (AA) [NATO]" - "Стационарная ПУ "Титан"(ПВО) [NATO]"
"Static Titan Launcher (AT) [NATO]" - "Стационарная ПУ "Титан"(ПТ) [NATO]"
3) Open Virtual Arsenal > Select BackPack Section -> Select Carryall Backpack (Green Hex). In Russian ArmA 3 Of Course! "Carryall Backpack (Green Hex)" - "Рюкзак (зеленый гекс)"
3) Open Virtual Arsenal > Select Rifle Section -> Select Katiba Carbine 6.5 mm. In Russian ArmA 3 Of Course! "Katiba Carbine 6.5 mm" - "Katiba Карабин 6,5 мм"
3) Open Virtual Arsenal > Select Rifle Section -> Select M320 LRR .408. In Russian ArmA 3 Of Course! "M320 LRR .408" - "M320 LRR .408"
3) Open Virtual Arsenal > Take Mi-48 -> Set Gunner Seat. 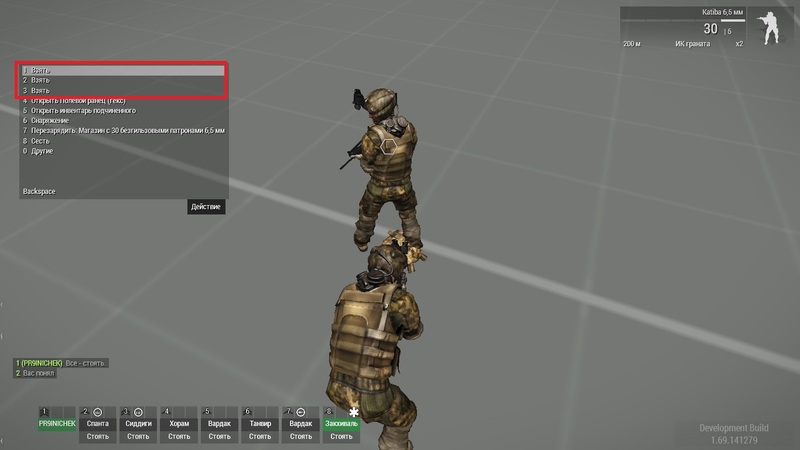 In Russian ArmA 3 Of Course! "30 mm HE Tracer (Green) Shells" - "30 мм. ОФС трассирующие (зеленые)"
"30 mm APDS Tracer (Green) Shells" - "30 мм. 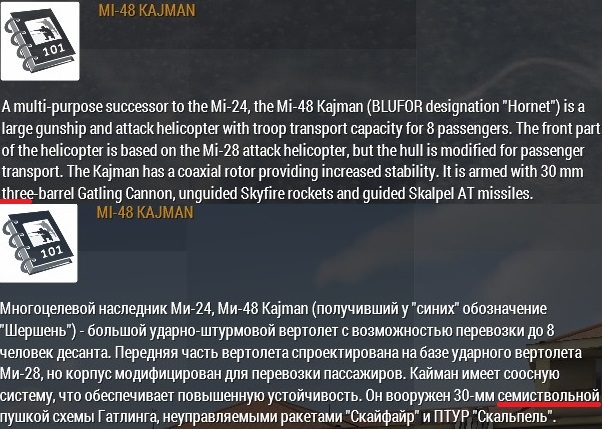 БПС трассирующие (зеленые)"
3) Take A-143 Buzzard (AA) and select Zephyr Rockets in Russian version of ArmA III. 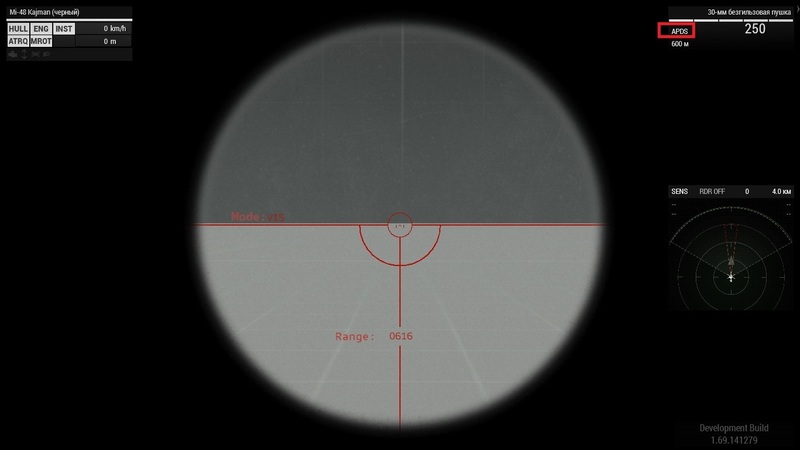 "AA LRange" - "В-В (больш. дальн.)" 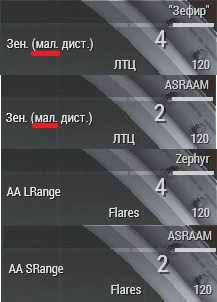 "AA SRange" - "В-В (мал. дальн.)" 3) Open Field Manual -> Select To-199. In Russian Version of ArmA 3 Of course. "(HE и AP)" - "(ОФ и БП)"
3) Open Virtual Arsenal > Select Wetsuit. In Russian ArmA 3 Of Course! "Wetsuit [CSAT]" - "Мокрый гидрокостюм [CSAT]"
"Wetsuit [NATO]" - "Мокрый гидрокостюм [НАТО]"
"Wetsuit [AAF]" - "Гидрокостюм [AAF]"
"Wetsuit [CSAT]" - "Гидрокостюм [CSAT]"
"Wetsuit [NATO]" - "Гидрокостюм [НАТО]"
3) Open Virtual Arsenal -> Select CSAT Helmets. "Assassin Helmet (Black)" - "Шлем "Убийца" (черный)"
"Assassin Helmet (Green Hex)" - "Шлем "Убийца" (зеленый гекс)"
"Assassin Helmet (Hex)" - "Шлем "Убийца" (гекс)"
"Defender Helmet (Green Hex)" - "Шлем "Страж" (зеленый гекс)"
"Defender Helmet (Hex)" - "Шлем "Страж" (гекс)"
"Defender Helmet (Urban)" - "Шлем "Страж" (городской)"
"Protector Helmet (Green Hex)" - "Шлем "Защитник" (зеленый гекс)"
"Protector Helmet (Hex)" - "Шлем "Защитник" (гекс)"
"Protector Helmet (Urban)" - "Шлем "Защитник" (городской)"
3) Open Field Manual, Open Medic inventory. <Original>The First Aid Kit (FAK) is used to treat small wounds. <Russian>Индивидуальный перевязочный пакет (ИПП) применяется для лечения легких ран. All the aforementioned fixed were implemented with exception of the last one, I do not see any obvious mistake there. Thank you for the reports! 2) Missing one symbol - "%1"